Apart from his foray into Passive House, Wardle used timber at scale and prolifically, including prefabricated timber. When highly acclaimed Melbourne-based architect John Wardle opens his new studio in Sydney on 29 January next year it will mark the start, he thinks, of one of the most interesting and exciting decades for architecture, sustainability and the built environment. In a conversation with The Fifth Estate early this week in Melbourne, soon after delivering a keynote address at the World Architecture Festival in Amsterdam, Wardle signalled optimism. Wardle thinks the changes will be “led less by government and more by organisations focused on the benefits of intelligent and sustainable development. Industry groups, he says, are promoting “fantastic imminent breakthroughs” in material and construction technologies and other sustainability measures. “I think the focus has shifted towards investing in design that will deliver long-term benefits, such as Passive House or Living Building initiatives. Moving to Sydney promises the chance to explore new opportunities and forge new relationships, Wardle says. It doesn’t mean making an aggressive pitch for growth. The new studio, in inner city Surry Hills, will be led by newly appointed principal Matthew Todd and senior associate Jasmin Williamson. They’ll be joined by a contingent from the Melbourne team, which now comprises 90 staff. Mainly it will mean less travel for staff handling work already in play such as a new art gallery in collaboration with Durbach Block Jaggers for philanthropist Judith Nielson, who recently announced a massive $100 million commitment for a new journalism institute. JWA is also currently working on a large-scale CBD development on the corner of York & George Streets. He’s particularly keen to retain the feel of the “local architect”; a defining characteristic of the firm’s work and its ongoing commitment to working deeply with ideas of place. Though he admits that’s a description that might feel like a challenge when his studio in Collingwood completes two new character-changing projects nearby, including a new 12-storey tower fronting Wellington, Northumberland and Glasgow streets. The practice has already notched up notable and landmark projects such as JPMorgan Tower in Sydney, and the 2018 RIBA award winning Captain Kelly’s cottage on Bruny Island in Tasmania. Next year will see the completion of the new Melbourne Conservatorium of Music for the University of Melbourne. Another 2018 national award-winner was the Monash University Learning Teaching Building, the interior of which is conceived as an “imagined landscape” with “ravines, clearings and escarpments”, according to Dezeen magazine, and in fact looks like a nesting place among and inside tall trees and other organic natural forms. Nice for learning. There’s also JWA’s first Passive House project at Toorak, the “Limestone House” using Mount Gambier limestone profiled in these pages by Kylie Mills and Shanice Sime. While we’re still hearing that some architects pay lip service to sustainability but not much more, you sense Wardle does not need to be on the defensive on this score. Apart from his foray into Passive House, he’s used timber at scale and prolifically, including prefabricated timber. Some is from trees pulled out of the bottom of Lake Pieman in Tasmania, and he’s happy to measure and audit what he does. But it’s not easy. The demands of sustainability are far more complex than in the past, he says. “The world we live in and the things that are necessary to do now are more complex in every way when we look at sustainability. From the way materials are designed and evolving, to the demands for minimal impact when we are building. “It’s a myriad of things to do, not just in the materials but in minimising waste. 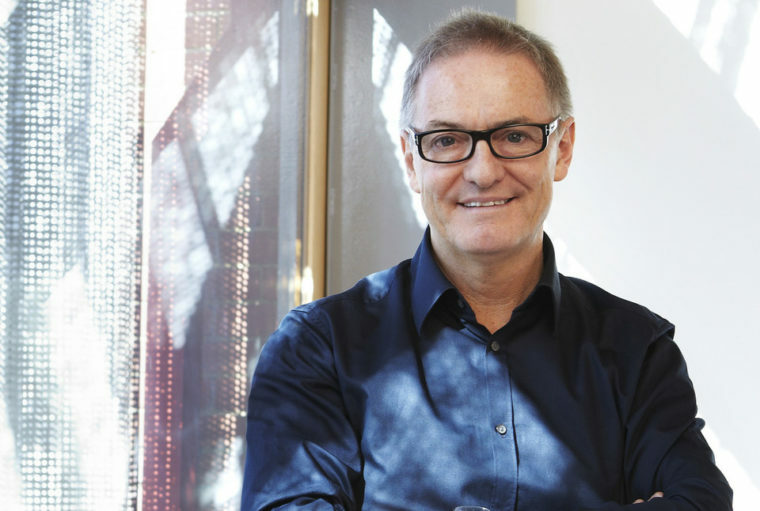 In recent years his studio has employed prefabrication on projects including the University of Melbourne’s School of Design and for the $275 million Learning and Teaching Building at Monash. The gains have included much faster construction with less wastage “to an incredible degree”. “The way we design and document has dramatically changed. Where once a fabricator would interpret our drawings, we now provide them with a digital model that can be used to cut and form material in a very precise fashion. This has been particularly useful for some of the timber elements of our large-scale university projects. It also has the potential to reduce wastage considerably. The audit and management of this is a very complex process, he says. Timber is particularly complex. The demand from clients has always been strong, but the last few years have seen it steadily increasing. JWA has liberally and dramatically used timber in projects such as Melbourne School of Design, University of Tasmania’s Cradle Coast and the Victorian Heart Hospital, where its use is perceived to have healing properties. But there is not enough timber to meet demand and supplying that demand is highly complex. One of those opportunities is timber being recovered from Lake Pedder in Tasmania, where “we’re pulling up logs from the bottom of Lake Pedder that were left there when they flooded the lake”. It’s aptly named “hydro timber”. There are also “big arguments” around hardwoods and soft woods, he says. The latter are light and stable, but pine plantations can be problematic because of their monoculture. Then there are the social issues of communities in Tasmania whose farming lands are now inert because of the vast tracts of land planted with a single species of blue gum hardwood. “The economy of regions has been affected. Wardle sees that architects have an obligation to engage at a wider scale to influence better cities and public spaces, partly because they’re trained to do so. On the difference between Sydney and Melbourne’s design culture, Wardle is not to be drawn. As to the challenge of better outcomes in general, he says he’s optimistic of better outcomes, but how? In the face of persistent poor construction in buildings together with wilful and widespread ignorance of the urgency of climate change, what gives him encouragement? “We like to encourage our clients to be ambitious,” Wardle says. 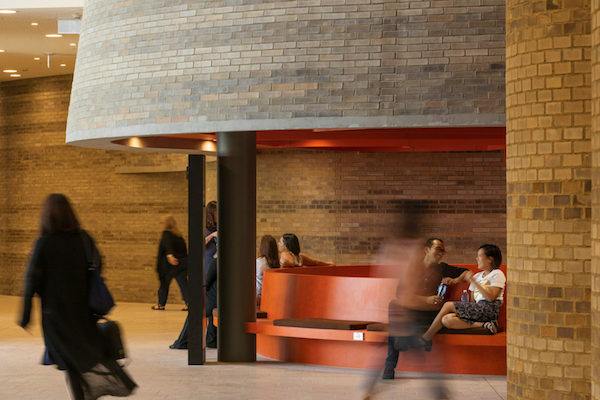 “We try to find ways to work with clients and influence them to more broadly engage in civic generosity, to look deep into the history of a site and draw on the stories and bring out something of relevance to contemporary existence. And that idea of influence, of nudging where possible, is after all where true change can come from. Thanks, and obviously should be Toorak not Tooram. I believe the author is referring to the Hydrowood which is being reclaimed from Lake Pieman, not Lake Pedder. The Limestone House is actually being built in Toorak but utilizes Limestone from Mt Gambier. There were neither trees of any substantial size ‘on the bottom of Lake Pedder’, certainly not ‘logs’, nor from the Serpentine Valley! I think the claim refers to Lake Gordon, NOT Lake Pedder impoundment (Fake Pedder)!